Editor's Note: Column was coauthored by Ken Klukowski. Justice John Paul Stevens doesn’t believe anyone has the right to own a gun, and admits that you would need to rewrite the Constitution to make his preference a legal reality. And that’s exactly what he thinks should happen. Throughout his 35-year tenure on the Supreme Court, Justice Stevens was a lion of the Legal Left. He was an unapologetic advocate of the “Living Constitution”— that judges should continually reinterpret the words of the Constitution in accordance with what they, and other elite members of society, decide is the evolving enlightenment of modern society. Justice Stevens retired in 2010 at the end of the second-longest tenure in Supreme Court history. (The only justice to serve longer is the one he replaced in 1975, William Douglas, with 36 years). Now Justice Stevens has written a book on the Constitution called Six Amendments: How and Why We Should Change the Constitution. The title says it all. This is extraordinarily revealing. It shows that Justice Stevens believes the Constitution should say what he would say if he were writing it, not what the American people decided it would say when they wrote it. In its 2008 case D.C. v. Heller, the Supreme Court held after 60 pages of analysis poring through the congressional record, state ratification conventions, dictionaries, speeches, letters, and other sources from the writing of the Bill of Rights that the Second Amendment secures the rights of law-abiding and peaceable adult citizens to keep and bear firearms unconnected from any type of government service. In doing so, the Court struck down a D.C. law that made it illegal to have handguns at home, among other restrictions. Then in its 2010 case McDonald v. Chicago, a majority of the Supreme Court again spent dozens of pages exploring the original meaning of both the Second Amendment and the Fourteenth Amendment to hold that the right to bear arms is a fundamental right that applies as strongly against state and local governments as it does the federal government. In doing so, the Court struck down Chicago’s ban on having handguns in the home. Justice Stevens dissented from both decisions, and would add these words about the militia to create the opposite result. But what is the militia anyways? The Second Amendment was ratified in 1791. What did the American people think it referred to regarding the militia? According to the Militia Act of 1792—passed the very next year—defines the militia as all able-bodied men ages 18 through 45, except those with a religious objection to using deadly weapons. That’s why when America’s population was 3 million when the Constitution was adopted, James Madison wrote that any president who became a tyrant would face an armed militia of 500,000. That was the estimated number of grown men in the American population. It doesn’t matter if the meaning of “militia” has changed since then, because the Constitution’s meaning does not change. That’s why it’s a written document—the first written Constitution in world history. It was specifically written so that everyone would know what its words say, which necessarily includes that those words could never change. When the Constitution needs to be changed (and it sometimes does, such as to end slavery and ensure equal rights for all racial groups), then the American people do so only by adopting an amendment. An amendment adds new words to the Constitution that supersedes anything already there that is inconsistent. But even amending the Constitution does not actually remove any of the words previously there, it just overrides them. But it turns out there’s no need to change anything regarding “militia” anyway, for two reasons. First, current federal law, 10 U.S.C. § 311, defines the militia of the United States as every able-bodied adult male ages 17-45—including younger people than its original definition of 18-45 (and again, except those with a religious objection to carrying weapons)—plus all women in the National Guard. The definition of “militia” under federal law is actually broader now than it was when the Second Amendment became part of the Supreme Law of the Land. So the “militia” reference does not narrow the scope of the right to bear arms. Not only that, but the Supreme Court also explored all the other terms, explaining that this clause refers to the ability of an armed citizenry able to protect the nation against both foreign invaders and a tyrannical federal government, if any president would attempt to use the military to take over the whole nation. “Well regulated” in 1791 meant well-armed and proficient. The “militia” was the full body of law-abiding citizens. And “necessary to the security of a free state” meant that having such a well-armed citizenry was necessary to keep America free. That’s why Justice Stevens wants to add new words into the operative clause, to narrow it to only apply to men and women when they are serving in the government as part of the National Guard. It would abolish any right to private gun ownership in the United States. None of this is exclusively confined to the Second Amendment. Advocates of the “Living Constitution”—most of whom in legal circles would actually be called “consequentialists” or “purposivists”—would make all sorts of changes to the Constitution. They believe that the Free Speech Clause of the First Amendment does not protect organizations like the National Rifle Association from making campaign messages about where candidates standing during election season. They believe the Free Exercise Clause does not protect the ability of a church or the Little Sisters of the Poor—a Catholic charity of nuns—not to cover birth control or abortion in their healthcare plans. On the flip-side, they argue for all sorts of rights that are not found anywhere in the text of the Constitution. They argue for fundamental rights to abortion, gay marriage, and other issues about which the Constitution does not say a single word, while ignoring words that are there in black and white. 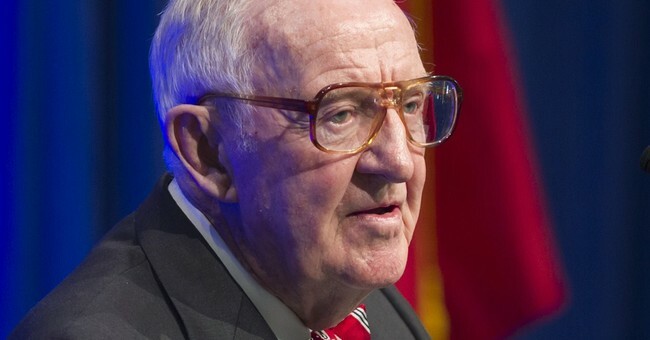 Justice Stevens wants to make other changes as well, as his title Six Amendments suggests. Among other things, he would change the First Amendment to limit political speech, change the Eighth Amendment to forbid the death penalty, change the Tenth and Eleventh Amendments to end sovereign immunity for the states and absolute immunity to state and local elected officials when they don’t follow a federal law. Just like with the Second Amendment in Heller and McDonald, these are all issues where he argued in dissenting opinions that the Constitution already does all these things the way it’s written. He lost on all those issues, so now he is taking what everyone can acknowledge is the only legitimate way to make those changes, by changing the words of the Constitution itself. The interesting twist to this story is that Justice Stevens told NPR, “I think in time that what I have to say about each of these six issues will be accepted as being consistent with what the Framers really intended in the first place,” referring to those who wrote the Constitution. That is a remarkable claim. In each of these issues when he lost, the majority opinion spent many pages exploring the original meaning of those constitutional provisions, and the justices ruled the way they did because it was clearly what the Framers meant. For example, private gun ownership was clearly regarded as a fundamental right in 1791, and organizations had unlimited rights to speak out on candidates and issues during elections. But that aside, Justice Stevens’ book is revealing about the liberal mindset, a worldview that rejects the principle that the Bill of Rights—including the Second Amendment—is premised on a mistrust of government power. It’s designed to protect the American people from their own government. This book is a reminder of how much of that government power is wielded by federal judges, and especially the nine justices of the Supreme Court. And is should heavily factor into whom Americans vote for in 2016 for president, in terms of the kind of justices that new president will give us. Heller and McDonald were both 5-4 decisions. The fate of the Second Amendment—and other fundamental rights—hangs in the balance.